The medical cannabis company moved into their facility a little more than a year ago and continues to help nearly 450 patients across Texas. MANCHACA, TX — Just a little more than a year after they first moved into their facility in Manchaca, Compassionate Cultivation continues to help their nearly 450 patients across the state through the use of medical cannabis oil. They do this by delivering low-THC cannabis for those who suffer from intractable epilepsy, which causes strong seizures and at times, complete loss of consciousness. The company is one of only three medical marijuana dispensaries in the state. They received their provisional license on May 1, 2017, and received their final licenses to operate the facility in Manchaca October 31, 2017. They harvested their first cannabis crop in January of this year, and sold their first dosage in February. Since then, they say they've been able to help more than 450 patients across the state suffering from intractable epilepsy. "There's only one condition that we're currently allowed to provide medicine for and that's for people suffering from intractable epilepsy, which essentially means that they have a form of epilepsy that is very resistant to anti-seizure medication. 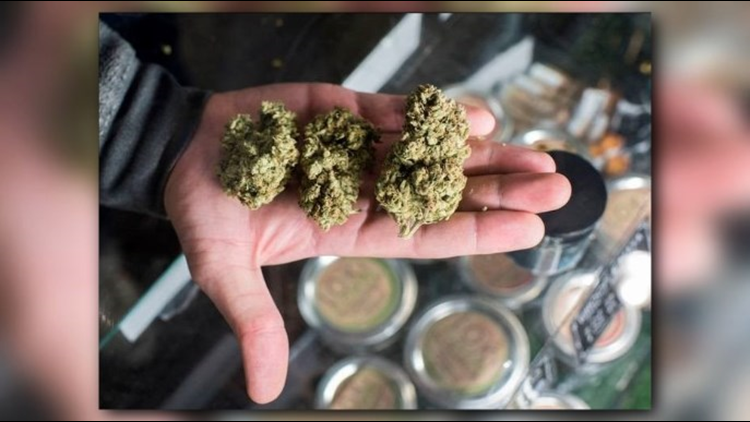 It means that they're prone to having more than one seizure in a year's time, but many of our patients frankly have dozens of seizures a day," explained Morris Denton, CEO of Compassionate Cultivation. "This medicine is really life-changing for many of our patients. You know we have three, four-year-old patients that would have dozens of seizures a week that since getting on our medicine are seizure-free. And I'm not talking about for just a week or a couple weeks, I'm talking about for months that they've been seizure-free." Denton said while many of their patients are children, epilepsy knows no age boundaries, which is why they help children as young as babies to seniors. He shared that in the time they've been in Manchaca, the community support has continued to grow as more residents become familiar with what their mission is. "I think that the skepticism is something of the past, and once people understand that what we're doing is producing medicine, that can change people's lives that can have a positive impact on a 16-year-old girl, on a 65 year-old man, on a six-month infant," said Denton. "Whatever notions they may have about what it is that we do, get quickly dispelled." Denton said that part of the company's obligation in order to have a license is that they have to ensure reasonable statewide access, which is why they deliver to patients across the entire state with no delivery charge. "This medicine is already relatively expensive, and because it's not covered by insurance it can become a pretty big line item on a family's budget, and so rather pass the cost of the delivery onto the patient, we absorb that." To learn if medical cannabis oil is something that could help someone in your family, contact Compassionate Cultivation to learn more about the process and prices.